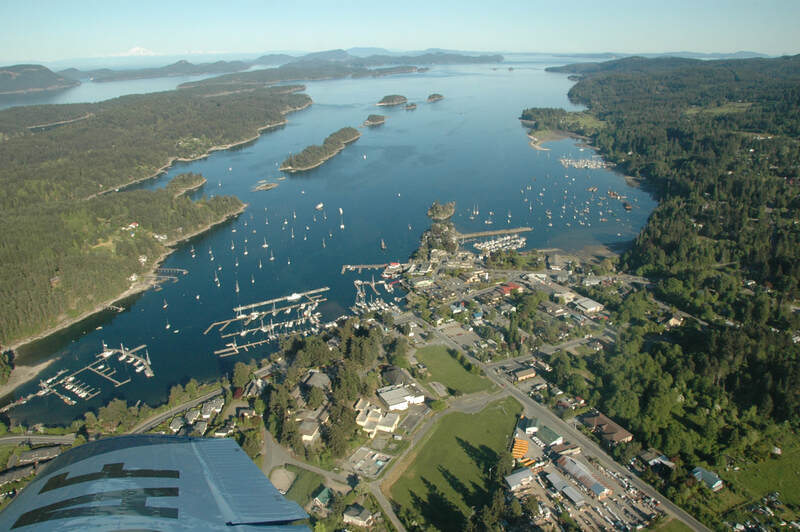 It covers Puget Sound, the popular San Juan Islands, the Gulf Islands, Desolation Sound and the places along the way between these destinations as well as the Inside Passage to the southern tip of Alaska. 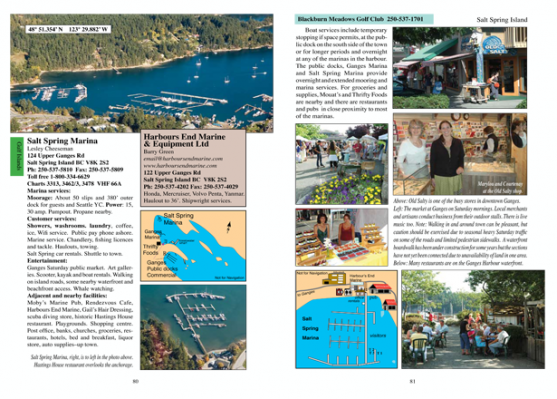 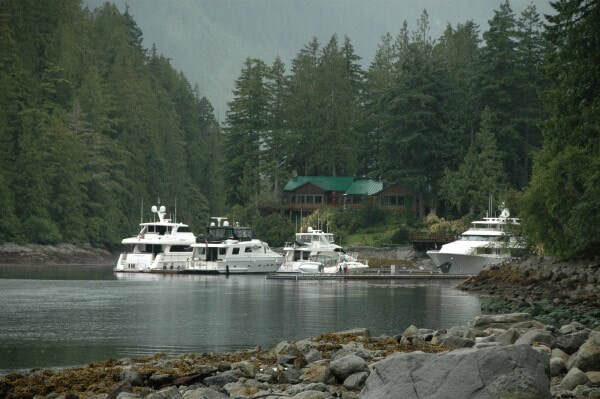 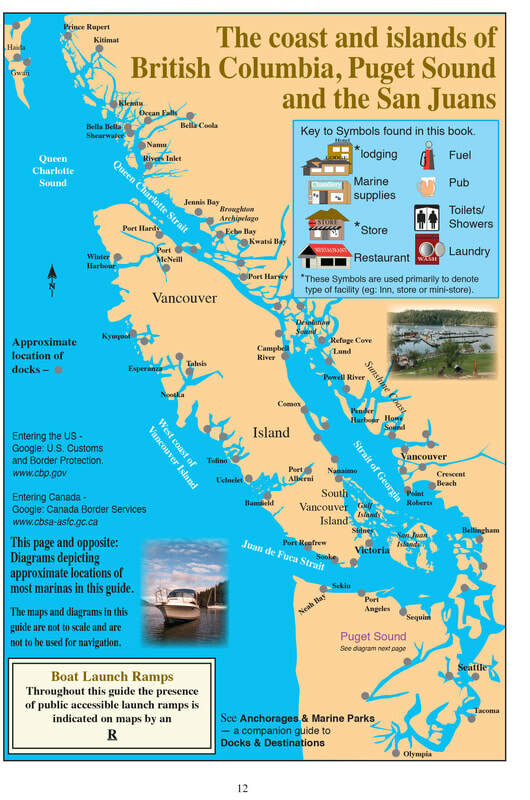 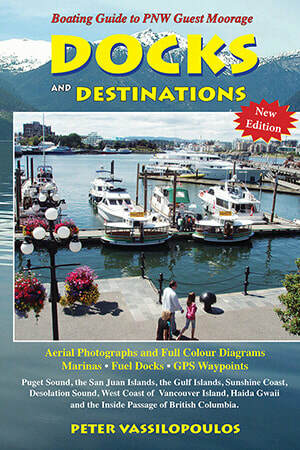 Like its companion cruising guide, Anchorages and Marine Parks, it returns south by way of the west coast of Vancouver Island. 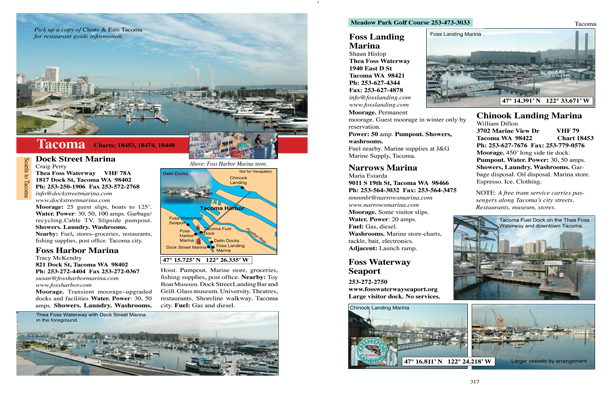 Numerous maps and diagrams include clear icons showing GPS co-ordinates, chart numbers, the presence of fuel stations and all the services for the mariner so that at a glance it is possible to determine what an overnight stay at a marina has to offer.